"Chakra Roll-on Kit" contains all 7 individual roll-ons as follows: Root chakra, sacral chakra, solar plexus chakra, heart chakra, throat chakra, 3rd eye chakra, and crown chakra. Also Includes a Color Chart Information Card. 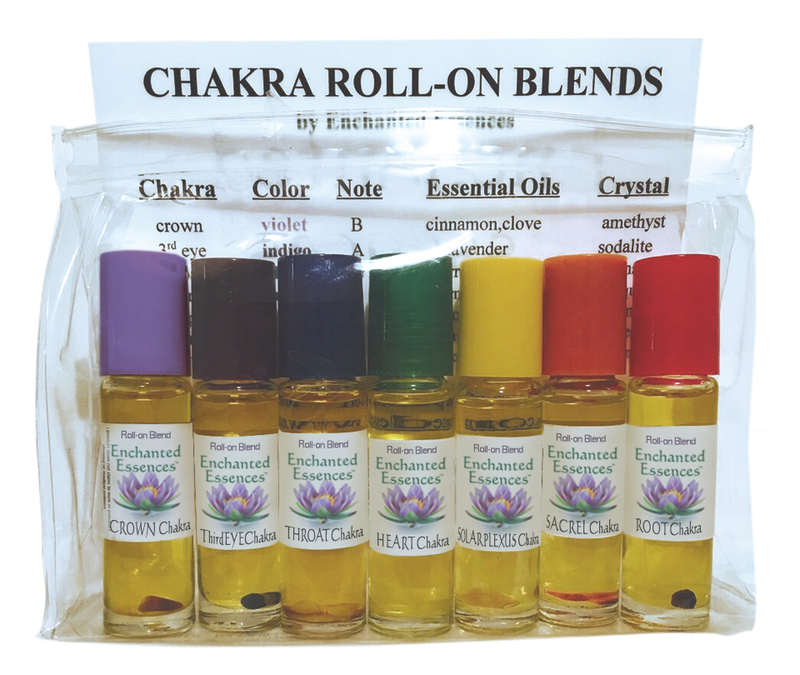 Purchase the "Chakra Roll-on Kit" Here. 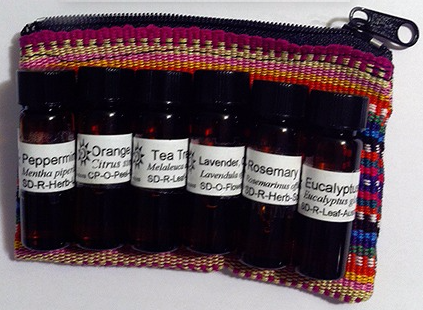 A pack of six essential oils that have a variety of uses. Contains: lavender, tea tree, eucalyptus, orange, peppermint, rosemary. All contained in a convenient little zipper pouch! 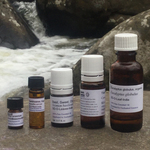 "Caelestis Essentials"- our line of pure, organic, or wildcrafted essential oils!!! Formerly originated and distributed by Celestine Gifts and Books in Pottstown, PA these are excellent quality essential oils. To read more information on these oils, please see the home page. "The Aromatherapy Book, Applications & Inhalations."